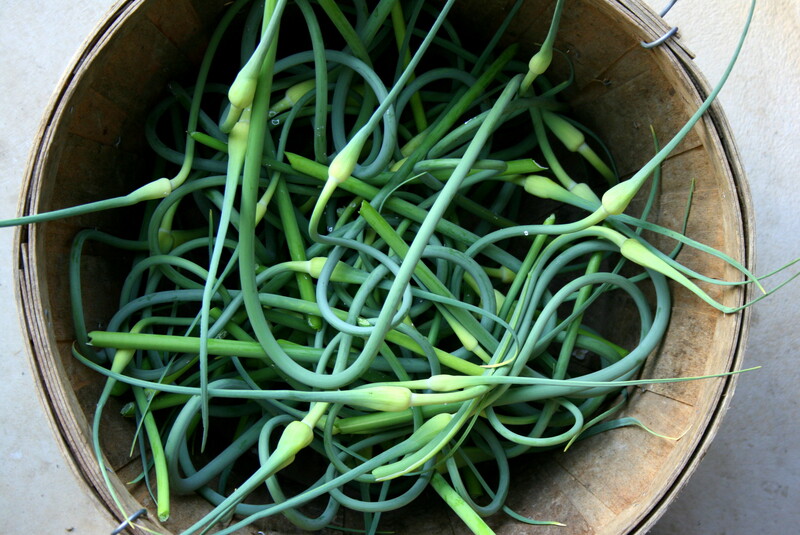 Garlic Scapes are the flower stalk of garlic and the entire stalk and “flower” are edible. For a mild garlic flavor add them to salads, stir-fry, sauces, pasta dishes, pesto & hummus. Check out 2 Sisters Garlic for more info on using scapes. And for another delicious recipe, check out the link Sara posted on our Facebook page for Garlic Scape & Swiss Chard Pesto!